Phytocon : Natural Products . 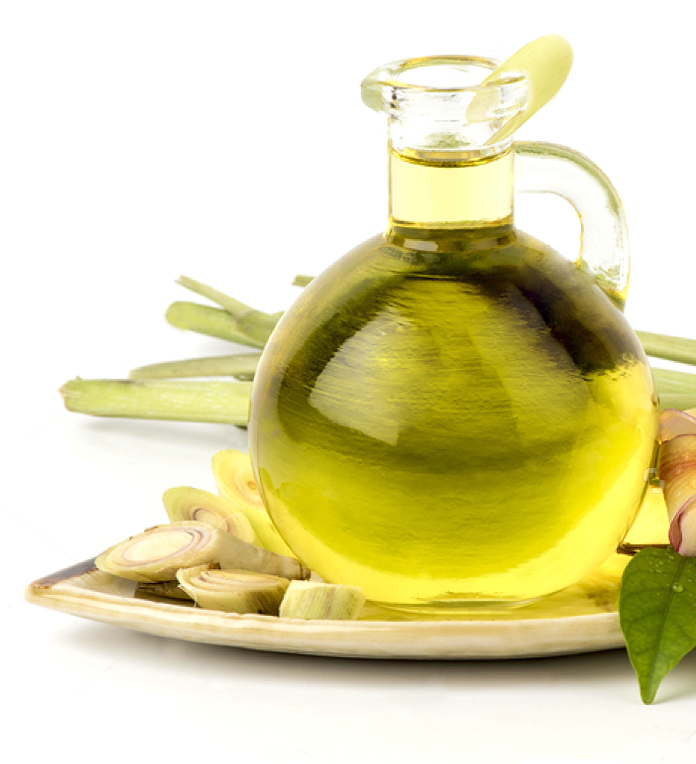 Phytocon Natural Products is a health, nutrition and medicinal products company. We bring products to the end-users that are bestowed to us by nature, used naturally for ages, limited and highly valued. 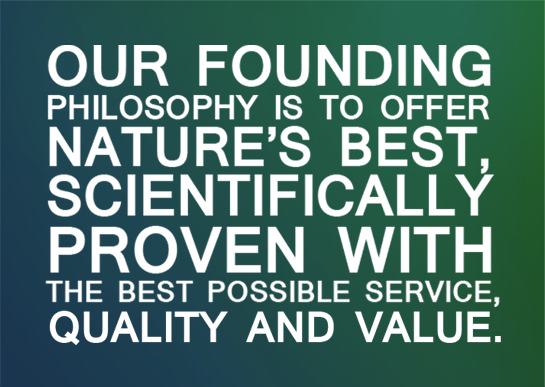 At Phytocon, we especially take pride in our passion for quality, our scientific approach to product development and our commitment to exceed customer expectations. Our sourcing strategy is to identify reliable and quality centric farmers. Phytocon has contracted with farmers for the long-term with the understanding that their produce quality will be reviewed for every batch supplied. We are fortunate to be able to work with farmers with generations of farming wisdom. We source quality products from farms across south India. We work closely with farmers to ensure best practices are adopted during cultivation, harvesting, processing and storage of products. We ensure complete traceability of each batch of produce. 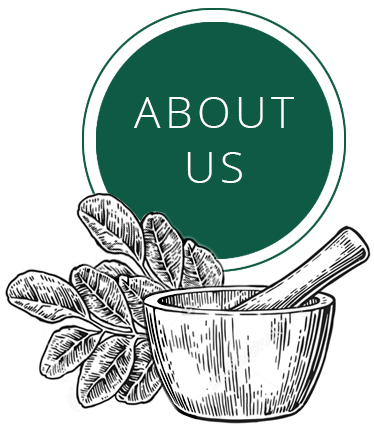 The management of the company is driven by a passion for quality, the desire for innovation and excellent knowledge of natural products chemistry. We aim to exceed client expectations. No matter how small or large the order quantity, we understand each customer has unique needs and we will be pleased to meet your requirements, not just in business but a long term partnership through our commitment to Quality. At Phytocon, we maintain international standards in our procurement, packaging and supply chain logistics systems. We closely monitor crop patterns from the source, quality of the yield and prevailing demand and supply trends to enable consistent supply of high quality products at competitive prices, efficiently. We also track delivery commitments and cost efficiencies, introducing improvements continually. Our capability to handle small and large volumes translate into efficiency of scale and benefit our customers. 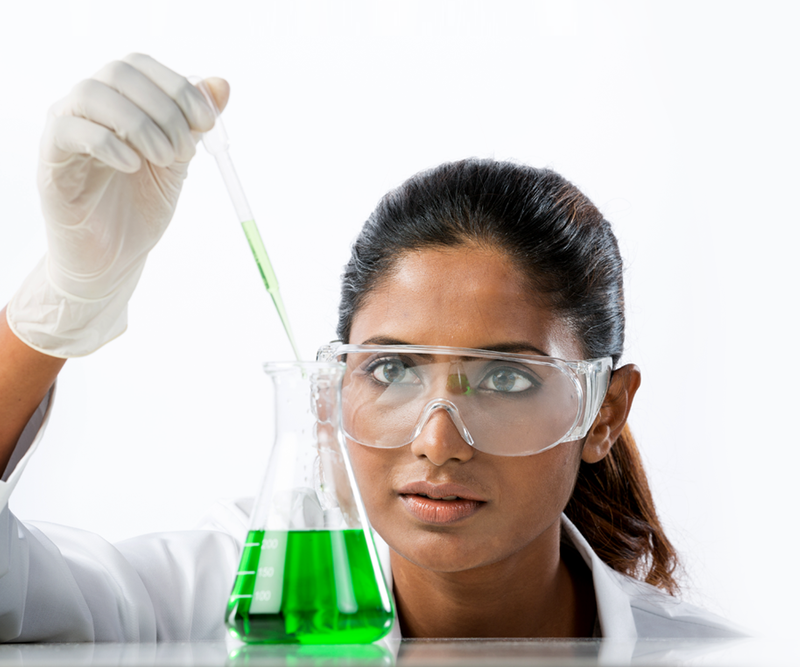 With our background and experience in pharmaceutical & biological sciences, backed by business management qualifications, Phytocon Natural Products is able to deliver quality health, nutrition and medicinal products across the country and worldwide. 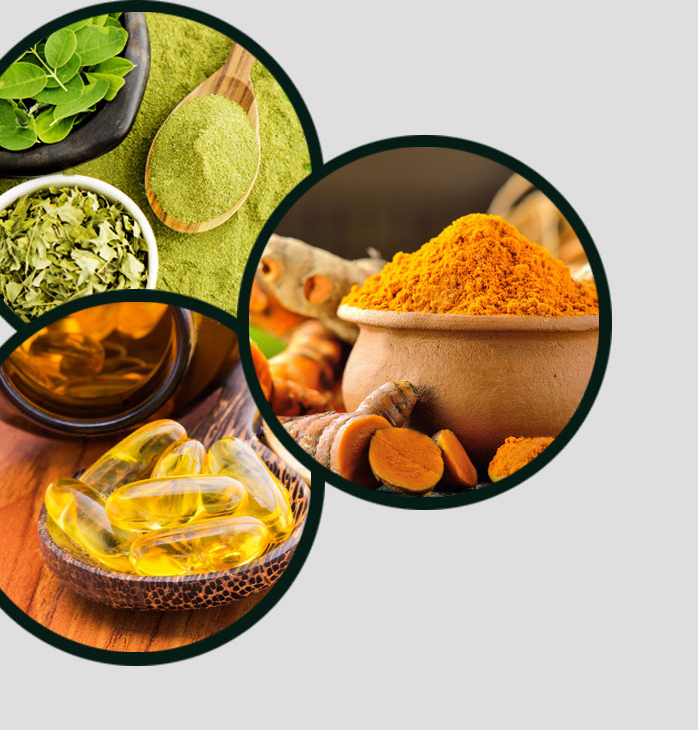 We bring to you natural herbal products that are completely devoid of chemical or synthetic additives. Sourced from southern India – home to the western ghats, one of the most bio- diverse regions in the world. The southern India state of Tamilnadu is the heartland of Moringa cultivation in India. Moringa has been used in Indian cooking since historical times and has been valued for its nutritional benefits. 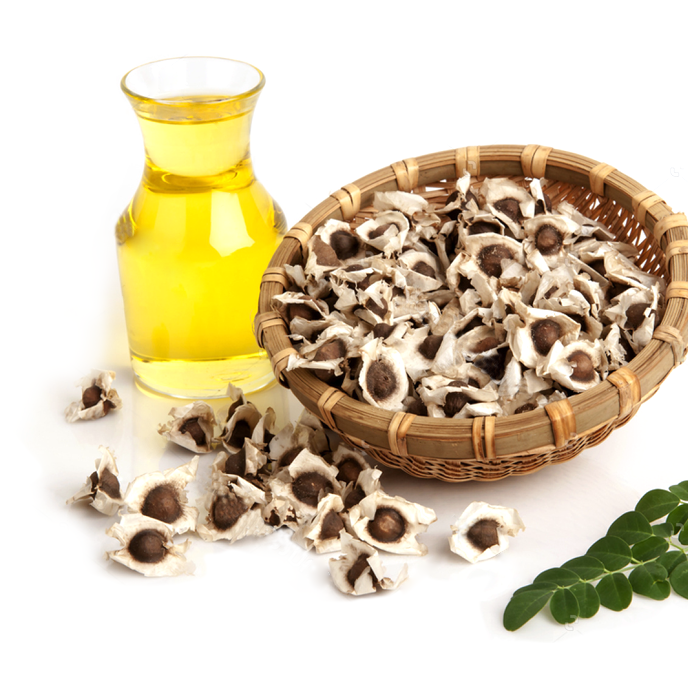 Moringa is organically cultivated using an ancient Indian practice using jeevamrutham. The freshly harvested leaves are thoroughly washed, sorted and dried, at a controlled temperature in a solar drier, to prevent microbial contamination, retain nutrient value as well as maintain colour of the final product. Powdered moringa leaves of different mesh sizes (60-80) are hygienically packed as per client requirement. We also provide tea cut leaves for use in tea bags to produce excellent quality Moringa tea. Turmeric grows mainly in South and Southeast Asia. India is one of the largest producers of turmeric in the world. Turmeric is the boiled, dried, cleaned and polished rhizomes of Curcuma longa. Phytocon procures rhizomes that are organically cultivated using the ancient Indian practice using jeevamrutham. 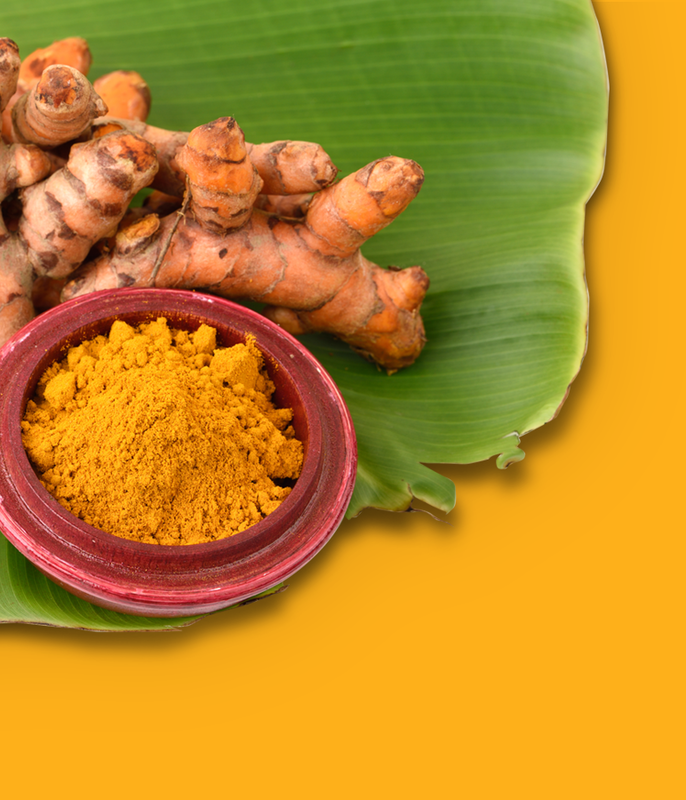 Turmeric has been used in India for thousands of years as a key ingredient in cooking, in Indian traditional medicine, and as a colouring agent. Turmeric has been used to colour butter, margarine, cheeses, yogurt, dry mixes and salad dressings. Turmeric has been used to treat a variety of internal disorders, such as indigestion, throat infections, common colds, liver ailments as well as topically as an antiseptic. We procure the finest quality turmeric from the farms of southern India, known globally for its premium variety of turmeric. These are hygienically processed and packed to meet your unique requirements – irrespective of the quantity. Quality is assured at every step from employing scientific cultivation practices to harvesting the leaves / roots at the right time to ensure higher yield of key aroma ingredients like citral in lemongrass oil. Post harvest the leaves / roots are steam distilled in the shortest possible time to ensure the best quality oils are produced. Essential oils are processed and stored scientifically to ensure integrity of oils are maintained especially from extrinsic sources like light, temperature and air. Each consignment of essential oils will be accompanied by lab certificates to assure you that only the best grade oils are supplied. The eastern and western shores of south India are key regions for the production of fish oils. Sardine (Sardinella longiceps) oil is the key contributor to exports of Omega-3 rich fish oils. Omega-3 fatty acids play a key role in cognitive health and in reducing the risk of coronary heart disease. 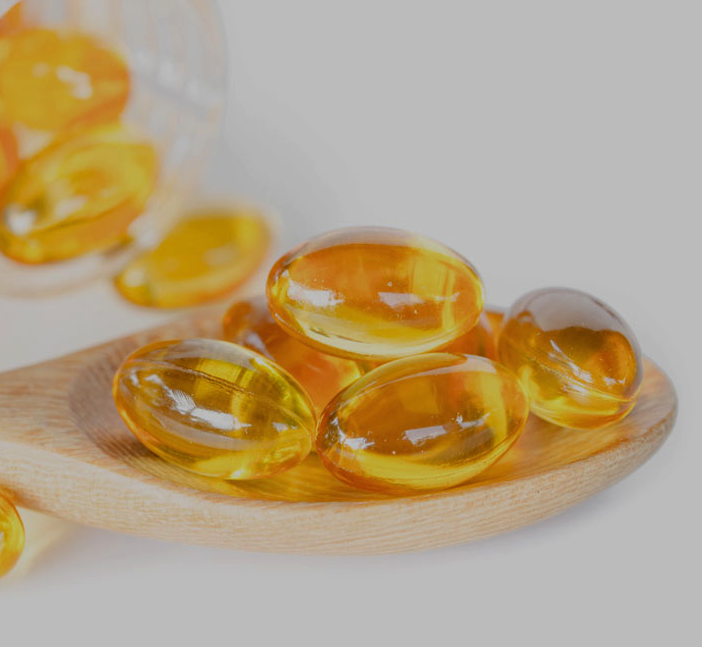 Some studies suggest that fish oils rich in omega- 3 fatty acids can reverse some of the harmful effects of diabetic neuropathy. Phytocon procures pure refined fish oil rich in omega-3 fatty acids of superior quality with FFA <5% and Peroxide value <5 meq/kg.